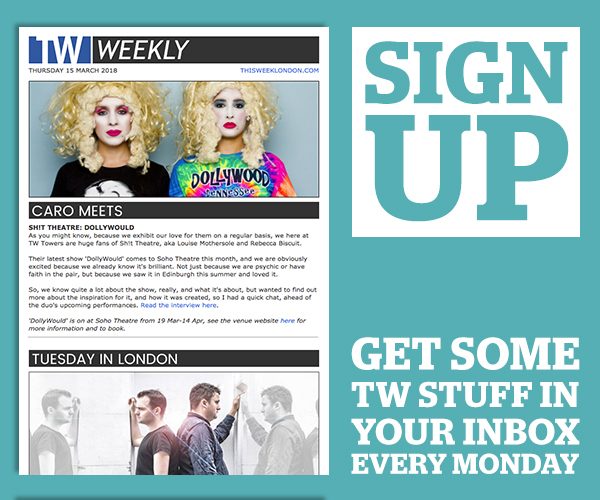 A free email bulletin published weekly during June and July and daily during the festival month itself. Navigate the world’s biggest cultural event with our handy daily guide delivered to your inbox. Read all the latest features as they go live. Get our Three To See recommendations picking out the finest and greatest and most interesting shows. 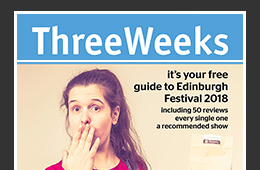 Plus a daily batch of Edinburgh Fringe reviews each day of the Festival. Tap into the twenty years of Fringe experience of the ThreeWeeks editors. 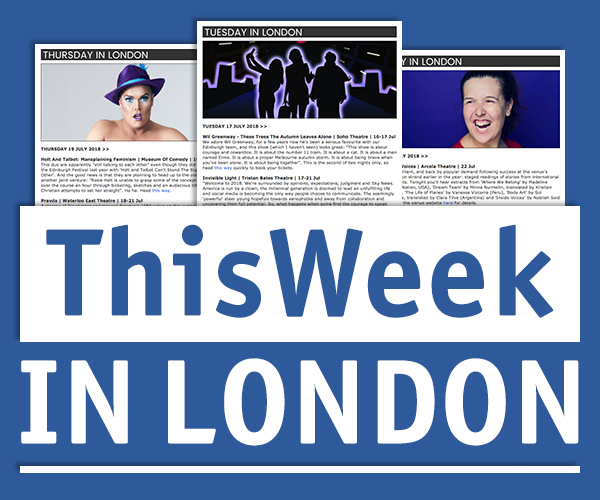 Plus get the latest lowdown from the ThreeWeeks review team checking out shows across the Festival.